Keeping training simple for everyone involved. With this principle in mind, we regularly update the Coursepath platform for even easier usage, course setup and maintenance. 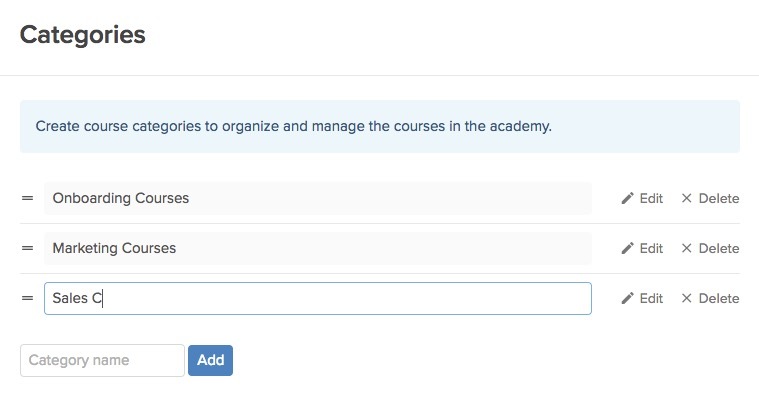 Our latest update includes quick edit functions for academy management such as course names, categories and groups. Quickly edit the table of contents. 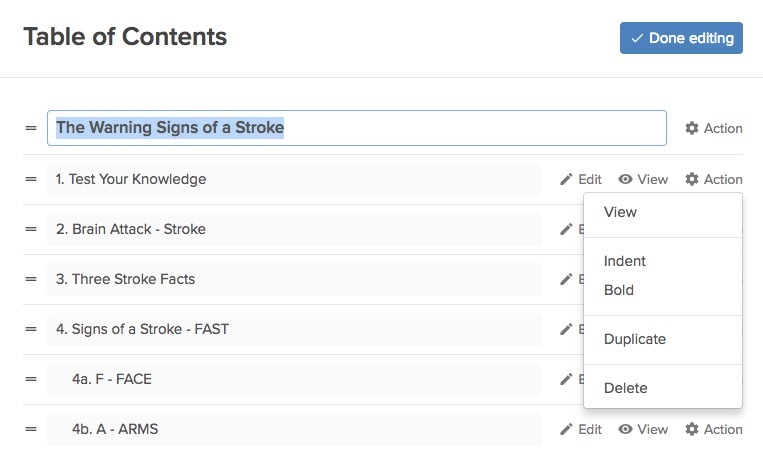 With the new edit mode, you have 2 alternative ways of changing the name of a step in a course: a) directly in the step as it used to be or b) directly in the table of contents. Especially the latter comes in particular handy after having imported a PowerPoint or PDF file. Simply click on the step you want edit and enter the new name. Changes are saved automatically. In the edit mode, you have the option to make steps bold or indented or to duplicate or delete a step. Simply use the “Action” button and duplicate indent or display a step name bold. All steps can be re-ordered per drag & drop as before. Not only course steps can be quickly edited but also names of courses, programs, groups, categories, academy pages and certificates. All you need to do is go to Setup and then choose the items you would like to edit, such as programs (Setup > Programs). Now click on the name and enter the new title of the program. For a better overview for managers, trainers and participants, it is recommended to sort courses into relevant groups and categories. Those groups and categories can now be ordered or rearranged very easily per drag & drop, just like it works with steps and modules in the table of contents. For example you could display the important courses on top of your academy. There they get displayed more prominently so everybody sees them at first glance. Quickly arrange and edit categories.